West Basin Municipal Water District is a wholesale water agency that provides imported drinking water to 17 cities and unincorporated areas of Los Angeles County throughout its 185 square mile service area. An innovative public agency, West Basin is a recognized leader in the production of recycled water, conservation and education programs. West Basin was created by a vote of the people in 1947 to reduce groundwater overpumping and to make local water supplies more reliable through new sources of water. In 1948, West Basin became a member agency of Metropolitan Water District of Southern California and began wholesaling imported water from the Colorado River. In the major drought of the late 1980s and early 1990s, West Basin’s visionary Board of Directors led the agency in developing new local water supplies that include wastewater recycling for irrigation and industrial use, and implementing effective conservation programs. West Basin currently manages a diverse water supply portfolio that includes imported water from the Colorado River and Northern California, locally-produced recycled water, desalted groundwater and conserved water. Additionally, West Basin is researching ocean water desalination as a drought-proof supply of drinking water. West Basin remains committed to being an innovative leader in the water industry by exploring new methods and technologies that enhance reliability in the region’s water supply. 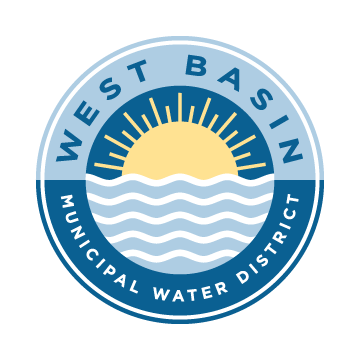 On behalf of the West Basin Municipal Water District, I would like to welcome you to our new investor relations website. We appreciate your interest and investment in bonds issued by the District, as it allows us to make critical investments in public infrastructure throughout the region. We are committed to maintaining our strong bond ratings, and we are also committed to being as transparent as possible with the investor community and public at large. I hope you find this website useful as you seek to better understand the credit fundamentals of the West Basin Municipal Water District. Please do not hesitate to contact our office with suggestions for how we can be doing better. Thanks again for your interest in our bond program. The information contained on this website has been included for general informational purposes only and no person should make any investment decision in reliance upon the information contained herein. This website and the information contained herein do not constitute an offer to sell or the solicitation of an offer to buy any securities. It is not intended to be investment advice. 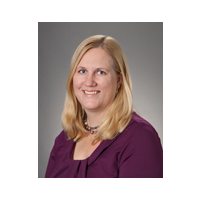 See a duly licensed professional for investment advice. All information contained on this page is obtained from sources believed to be accurate and reliable. Due to the possibility of human or mechanical error and other factors, this information is provided as is without warranty of any kind. West Basin Municipal Water District makes no representation, express or implied, as to the accuracy, reliability, completeness, or timeliness of this information, and is not responsible for any loss or damage incurred by any party using this information.